Giovanni Valentin is accused of shooting a man after an argument at a Hialeah restaurant. 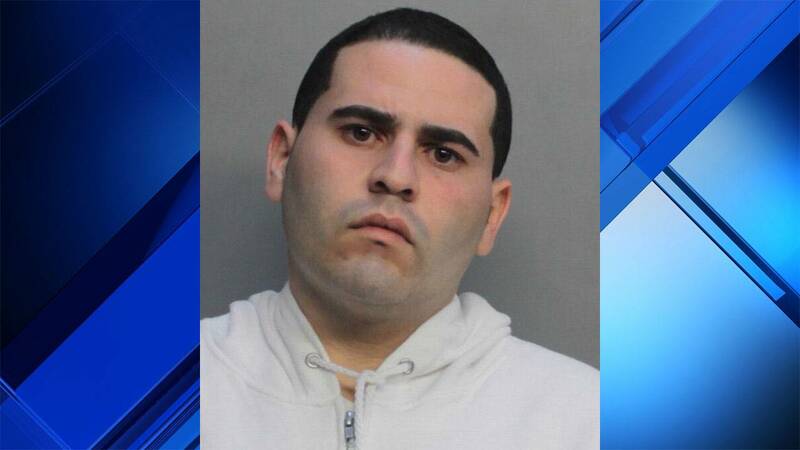 HIALEAH, Fla. - A Miami-Dade County man was arrested early Saturday after police said he shot a man in a road rage incident in Hialeah. Giovanni Valentin, 24, faces a charge of attempted second-degree murder. Jose Torres, a spokesman for the Hialeah Police Department, said Valentin and the victim, 25-year-old Jesus Menendez, got into an argument at Flanigan’s Bar and Grill in the 1500 block of West 84th Street. The staff the at restaurant asked Valentin and Menendez to leave, Torres said. Both men left the restaurant without incident, but Valentin followed Menendez in his car, police said. Torres said Valentin shot Menendez in the shoulder near West 13th Avenue and West 78th Terrace. Paramedics transported Menendez to Palmetto General Hospital, where he was treated and released. Valentin is currently being held on $10,000 bond at Miami-Dade County's Turner Guilford Knight Correctional Center.